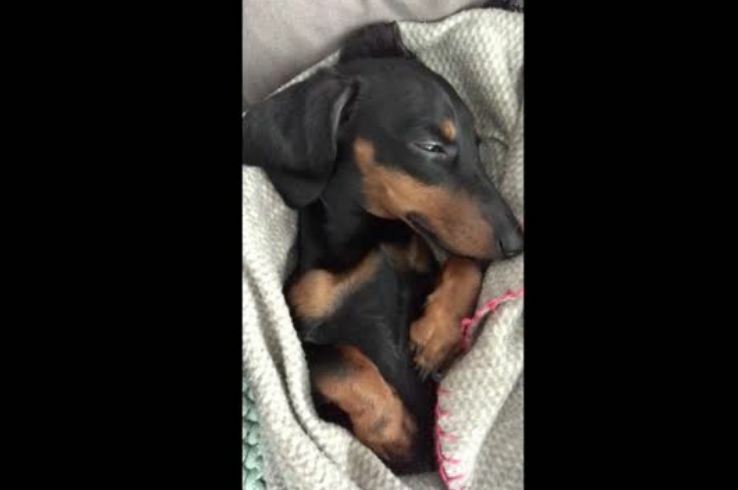 Nap time for this cute dachshund! All tucked in and comfortable in front of the TV, this dog is ready to get some sleep. At first she is still struggling to keep her eyes open, but finally she gives in. Too cute!